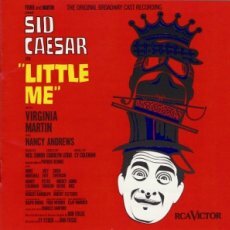 About On the Other Side of the Tracks “On the Other Side of the Tracks” is from the 1962 musical Little Me, starring Sid Caesar and Virginia Martin, who introduced this song. “On the Other Side of the Tracks” was recorded on April 22, 1963 and released in 1963 on the album This Is All I Ask. It was arranged by Ralph Burns.